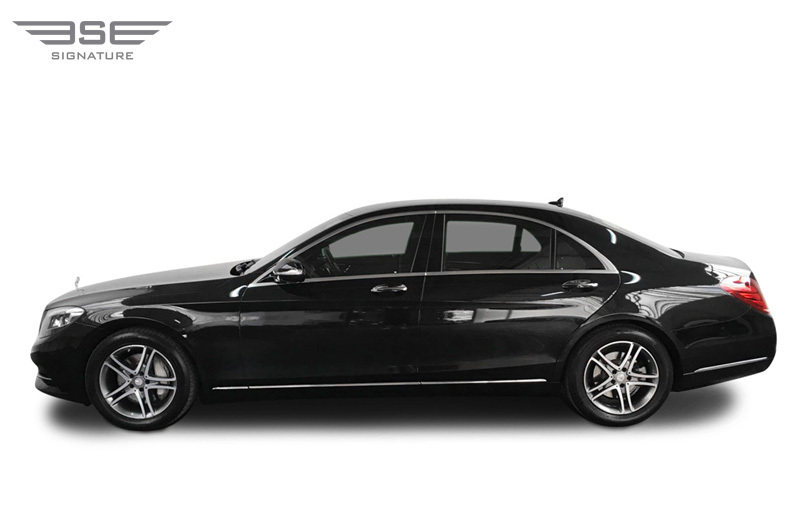 For executive travellers our Mercedes S350 rental car offers plenty of size and status for business travel. 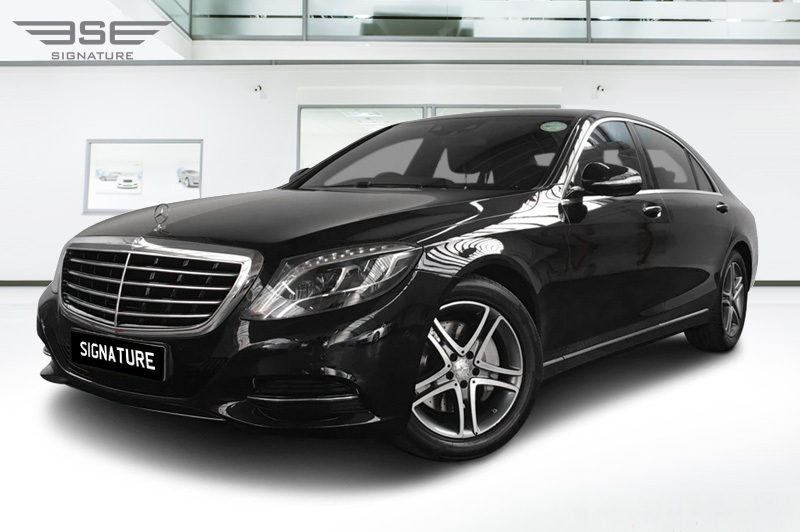 This Mercedes is a long wheel base version and available to hire on a self-drive hire basis or with our executive chauffeur service. This model is elegant and refined throughout and comes with plenty pf technological features to keep any driver or passenger happy. 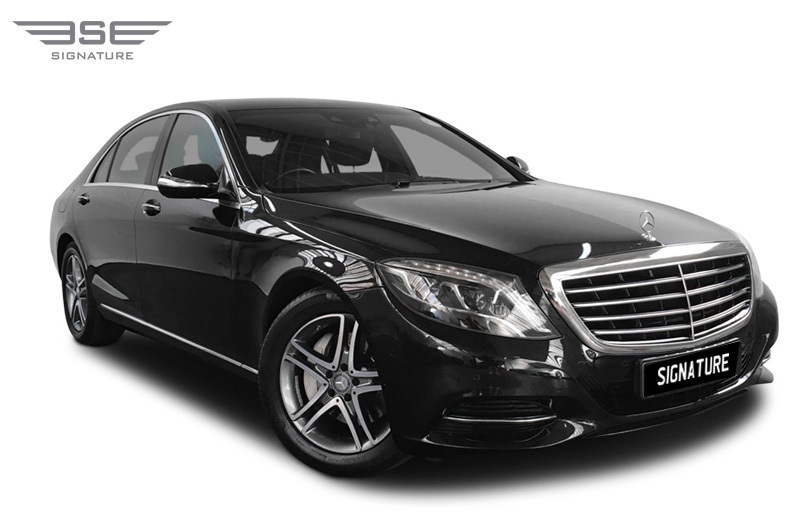 This top of the range S model type is one of our top rental cars in the UK due to a combination of all of the size and prestige expected of a long wheel based limousine but with very respectable fuel economy, making it ideal for business travel hire. 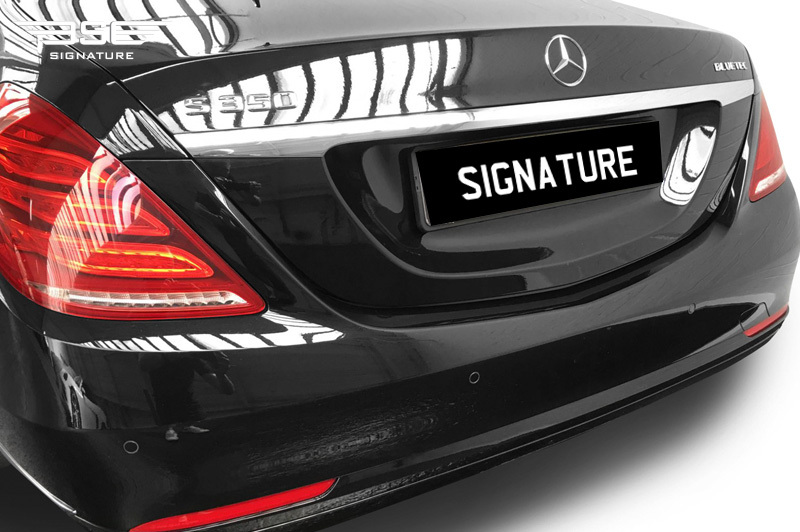 The Blue Tec derived economy doesn't impede on power delivery and so swift acceleration and effortless cruising in a smooth and hushed manner can be enjoyed. 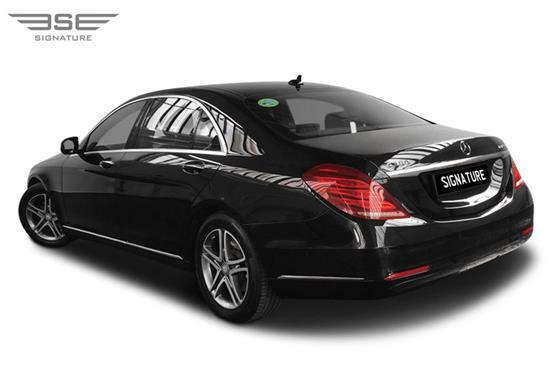 The overall package that the S350 delivers is a wonder to experience on any self-drive hire or chauffeured journey. 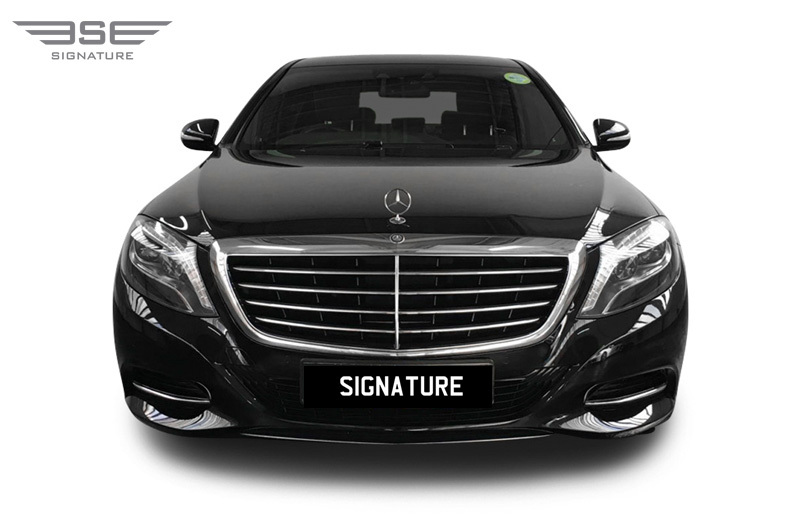 Our S-Class rental car has the latest on-board Mercedes technologies, materials and finishes, making it truly world class. 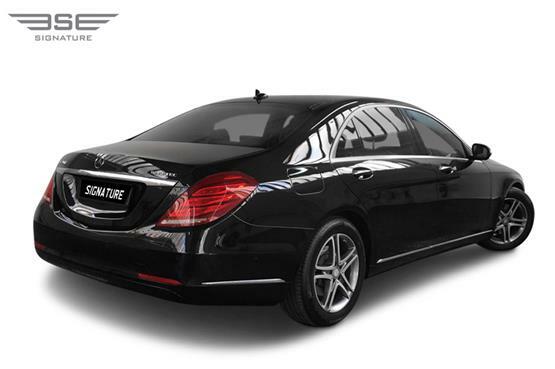 In the S350, with its V6 engine and long wheelbase, it provides for the ultimate in spacious practicality with plenty of opulence to enjoy. Our S-Class is sizable and stylish as well as sleek and powerful without feeling bulky or oversized. 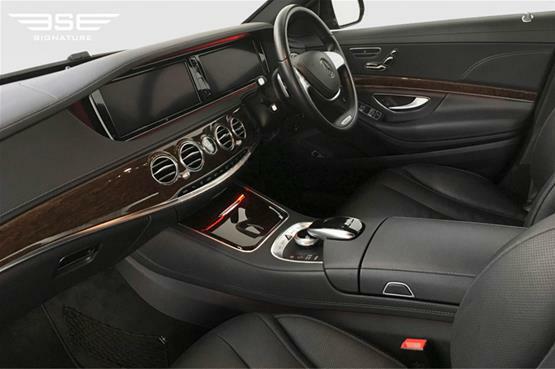 The interior has room for up to five adults and is luxurious in all aspects; the leather upholstered seats are surrounded by classy fixtures, fittings and finishes. Our S-Class hire car boasts many driver and passenger aids and technologies, including a comfort setting that provides a buttery smooth ride through to electronic driving aids that provide excellent cornering and stability. 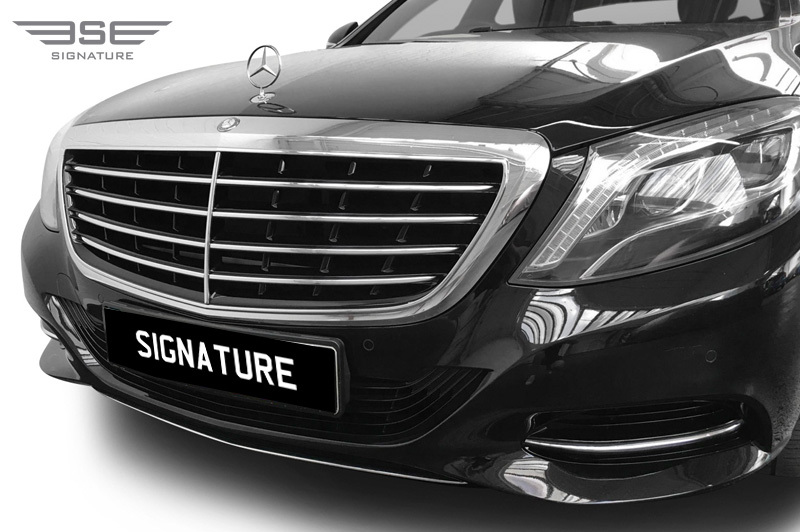 As driver or passenger, you can trust this luxury limousine to provide you with a perfect all round prestigious car hire journey. 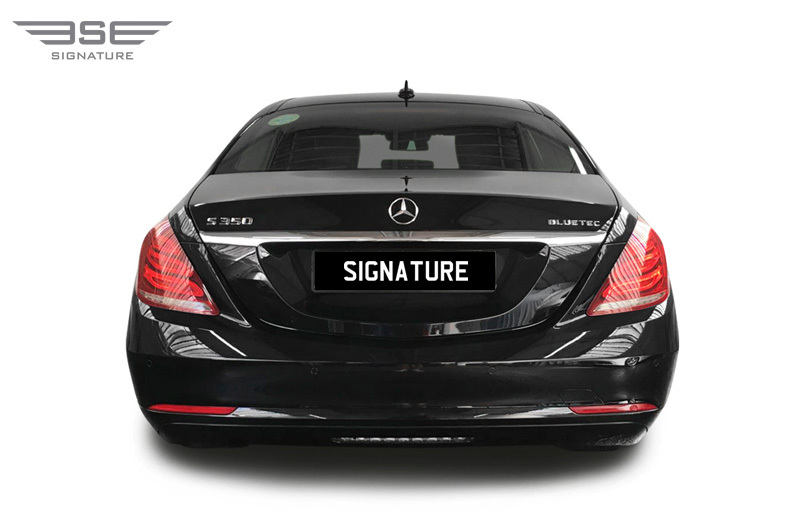 For such a sizable car it is difficult to imagine that it is capable of returning up to 50 mpg and yet it can through the state of the art design of its Blue Tec engine. 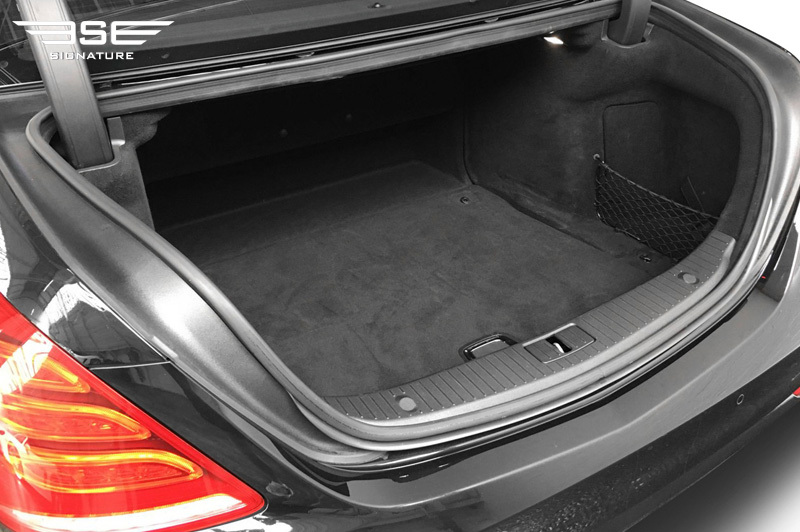 As you would expect in a Mercedes S-Class LWB the rear passengers have extra leg room to relax, wrapped in soft leather seats electrically adjustable, heated combined with your individual climate control.